CINCINNATI, OH –FEBRUARY 12, 2015– StopTech Ltd., the parent company of StopStick®, the world's leading tire-deflation device to safely and quickly end high-speed pursuits and Response Technologies Ltd., the emergency response solutions product and service company, has restructured in order to create dedicated sales and service resources for each brand, for specific vertical markets and to better serve its customers. 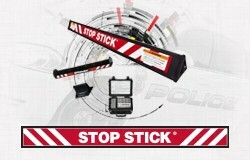 Stop Stick Ltd. sales and service will be focused on the law enforcement market with its iconic StopStick® and complete line of tire deflation devices and LE tactical products. Response Technologies sales and service will continue to be focused on the delivery of duress and emergency notification solutions with its Centurion®, PC Duress® and additional products serving a multitude of vertical markets including courts and government facilities, hospitals and health care facilities and schools. "Now we'll be able to better utilize our specific market expertise directly benefiting our customers", said Andrew S. Morrison, President, StopTech Ltd.
With the restructuring, StopStick and Response Technologies separate sales teams will be optimally positioned to provide a higher level of service and focused expertise to its customers in specific market areas. Response Technologies, a division of StopTech, Ltd., provides emergency response solutions including Centurion®, Centurion® PC Duress™, Centurion® Scout and Centurion Armor™ product support and technology services for specialized markets in the U.S., such as law enforcement, courthouses, hospitals and healthcare facilities, K-12 schools and colleges. Centurion products integrate & expand seamlessly with existing facility systems, and interface directly with law enforcement and other first-responders in real-time during an emergency situation – providing location-specific details, saving time and lives. Centurion® systems protect millions of people throughout the U.S. For more details about the Centurion product line, visit http://www.centurionscout.com/. StopStick®, from StopTech, Ltd., is the world's leading tire-deflation device used by law enforcement to safely and quickly end high-speed automotive pursuits. 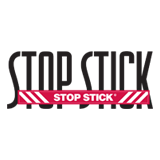 StopStick® has successfully ended over 25,000 vehicle pursuits in all 50 U.S. states and abroad over the last 20 years. More than 250,000 police vehicles are equipped with StopSticks®, which are proven to deflate tires on any vehicle from small cars to tractor-trailers. To learn more about StopStick® and other tire deflation products, go to http://www.stopstick.com/index.php.